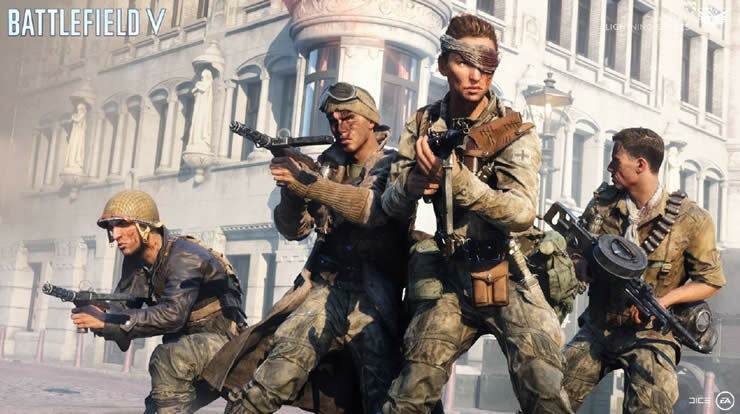 Electronic Arts and DICE have released a new update to Battlefield 5. 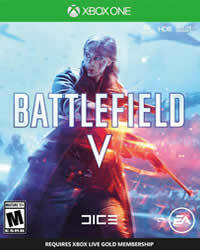 With the update so Battlefield 5 Patch 1.09, Lightning Strike Update 3. This is a very big update that will continue the third week of the Lightning Strike Event currently taking place in Battlefield 5. It also includes many bug fixes, balance adjustments, and other game mechanics changes. Frontlines - Fixed an issue where some maps had no constructible Fortifications. Fjell 652 - Fixed an exploit where players could stand on the cliff face when they should have been out of the combat area. Fjell 652 - Players can once again build all kinds of Fortifications when playing Frontlines. Devastation - Fixed an issue where players could get stuck or fall through the ground in the library area. Devastation - Fixed collision on multiple places to prevent players from using map exploits. Devastation - Fixed an occluder that was sticking out. Devastation - Fixed some collision to stop people from getting stuck. Devastation - Added a ladder Fortification to the library. Devastation - Moved a health station in the library to not clip with another asset. Devastation - Added collision to allow people to easier access the second floor of the library. Fjell 652 - Fixed a rock that was unvaultable near Flag E on Conquest. Aerodrome - On Breakthrough, fixed an issue which resulted in players getting spawned outside of the combat area. Panzerstorm - Fixed a floating stationary anti-air gun. Panzerstorm - Improved the transitions between weather states. Panzerstorm - Improved the borders on the deploy screen when playing Conquest to show neutral borders more accurately. Panzerstorm - Fixed some floating Fortifications. Panzerstorm - Borders on the deploy screen are now easier to see if the fog weather state is active. Arras - Spawn Beacons placed by the church tower now properly get destroyed when the church tower gets destroyed. Arras - The hedgerow collision has been tweaked to reduce the chance of projectiles incorrectly hitting invisible collision. Narvik - Turrets and cannons can now be rebuilt and repaired on this map. Hamada - Players are now able to control the free camera in spectator mode when switching between table top to free camera mode. Rotterdam - Fixed an issue with a ladder where players were able to reach an unintended area below the water. Rotterdam - Made it easier to climb out of the water near the B flag on Conquest. Rotterdam - Players are no longer able to climb to the rooftop located near point D on Conquest. Rotterdam - Fixed some issues with the combat area and its collision where previously you could drive through backdrop houses with a tank. Rotterdam - Adjusted terrain a tiny bit to prevent players from glitching below it. Rotterdam - Added collision to prevent people from climbing on houses around the D flag. Practice Range - Decreased the explosion size of the skeets as they could block the view of the other skeets. Aerodrome - Fixed a spawn point on Frontlines where players could deploy out of bounds in a tank when playing as Axis. Aerodrome - Players will no longer jump high into the air when vaulting over bomb cart carrier after vaulting over the railing on the balcony just straight above it in the airplane hangar. Practice range - Fixed a bug where it was not possible to switch to another weapon after using the M30 Drilling. The Last Tiger War Story - Fixed an issue where players could end up in an infinite loading screen after the last cinematic in the story had ended.